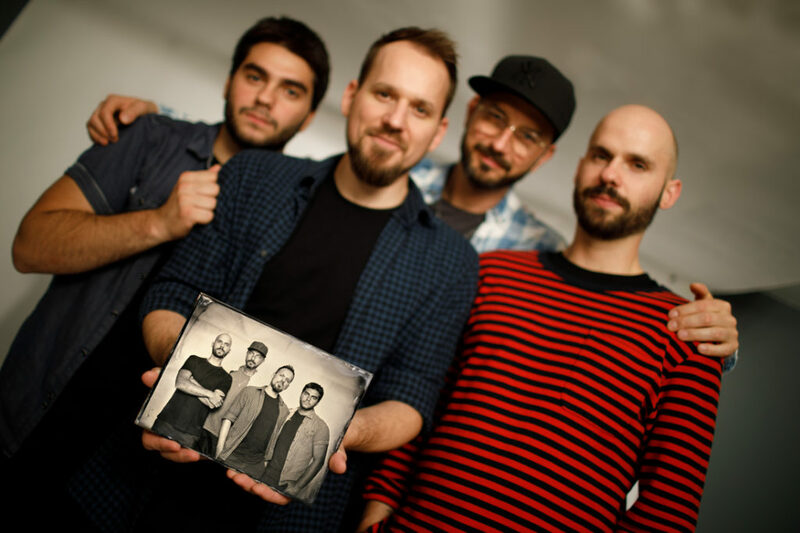 Die Positionierung der Band verlangte nach etwas mehr Schärfentiefe, aus diesem Grund habe ich meine 100 Jährige Kamera auf etwas über F6 abgeblendet. Um dieser Blende mit genug Licht entgegenzuwirken, habe ich den Hensel Tria 6000 Generator samt EH Pro 6000 Blitzkopf auf maximale Leistung gestellt. Der Hensel INTEGRA 1000 PLUS Kompaktblitz feuerte direkt auf die Decke und diese bouncte das Licht wieder sehr weich auf die Band. Damit es zu keinen Schatten im Hintergrund kommt, feuerte dort noch ein 500 Watt Kompaktblitz auf das Papier. Damit ihr eine Idee von der Auflösung einer 18x23cm Nassplatte habt, hier ein Scan vom Tattoo. Laut anderen Artikeln verschwinden Tatoos bei der Nassplattenfotografie (hab ich auch schon selbst beobachtet). Wenn man aber das Bild etwas unterbelichtet und überentwickelt (am besten mit alten Entwickler), dann werden Tattoos besser sichtbar. Der Grund dahinter: Nassplatten sind auf das blaue Lichtspektrum empfindlich, somit werden diese Farben heller dargestellt. Tattoos (speziell schwarze Tattoos) haben anscheinend viel Blau und Grünanteil in der Farbe, somit werden sie heller dargestellt. Durch das unterbelichten und überentwickeln erhähe ich den Kontrast und somit wird das scheinbar helle Tattoo besser sichtbar. Wie die Pushentwicklung bei analogen Film. 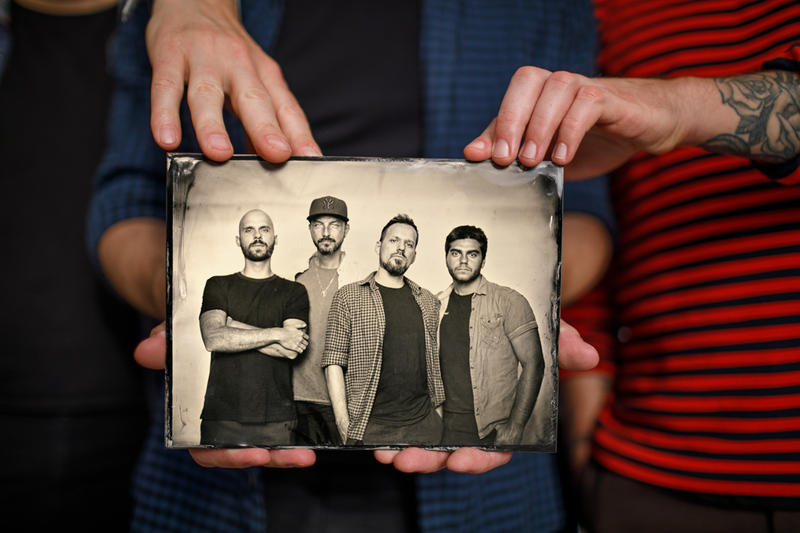 The outcome of the shooting with the rock band “The Black Proteus” – https://www.theblackproteus.com was one of the cooles collodion wetplates I did this year. We had tons of fun during the whole process. Because of the way I framed the band, I needed to stop down the lens of my 100 year old camera to about f6.5. Because of that I had to fire the Hensel Tria 6000 generator including the EH Pro 6000 Strobe head at full power. The Hensel INTEGRA 1000 PLUS compact strobe fired also at full power against the celing to bounce of as soft as possible. To avoid shadows on the background, I fired a 500 Watt strobe against it. With all that together I got the lightning done the way I wanted it. 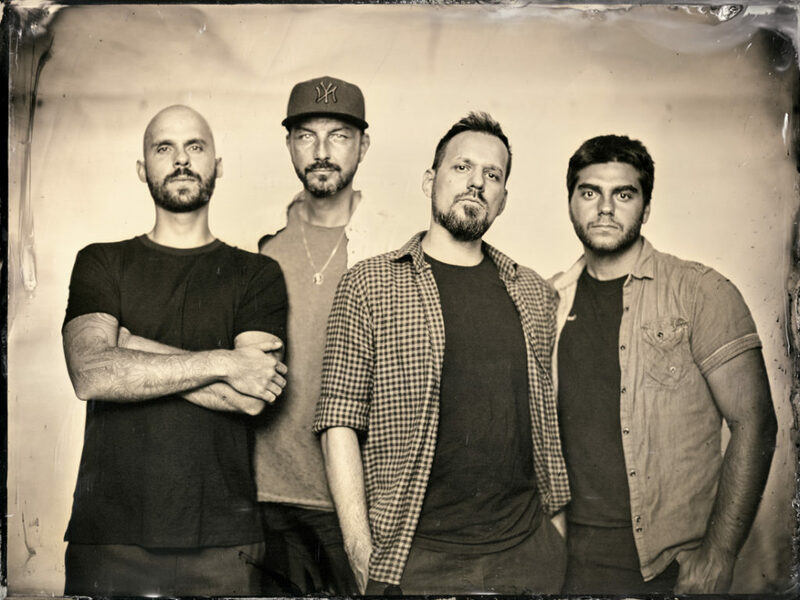 When you watch the making of video, you listen also to their music and from my point of view, this song fits perfectly to this kind of photography. To give you an idea about the resolution of a 18x23cm collodion wetplate, I attached a scan of the tattoo. 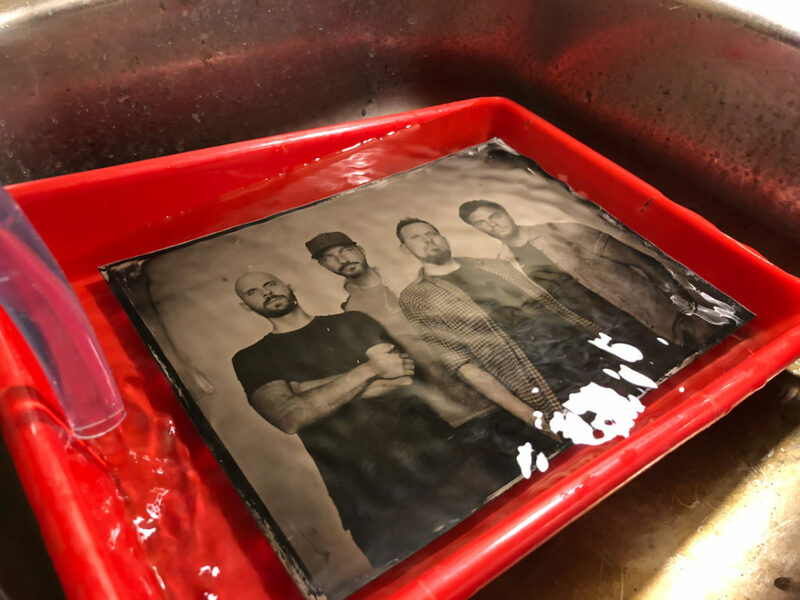 Maybe you have read about disapearing tattoos on wetplates. With this plate I figured how to make them visible again. I just underexpose the plate a bit and overdevelop it a bit. The cause of this: Wet Plate Collodion is mostly sensitive to blue light. That means, that this color spectrum gets brighter on the plate. 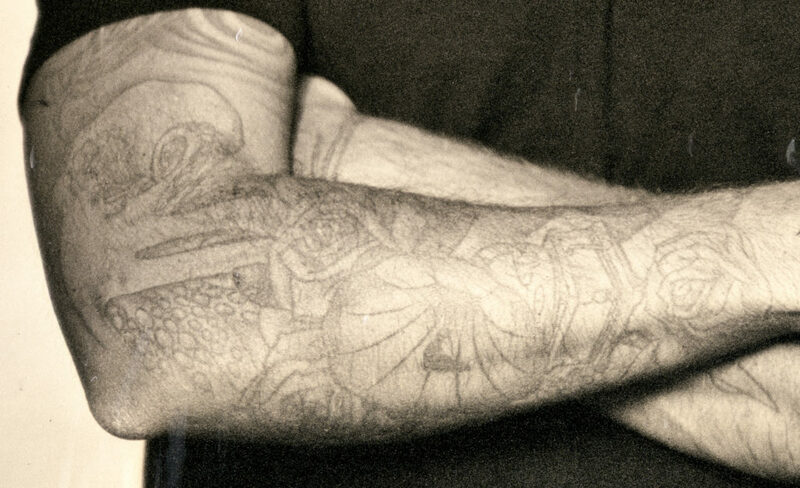 It seems that tattoos have blue and green tint in the black color and appear pretty bright on a tintype. With the technique mentioned above, I’m able to increase the contrast and so you are able to see them, this is like doing push developing on analog film.